Precision sensor manufacturer Micro-Epsilon has launched a compact confocal chromatic displacement sensor that offers outstanding value for money and high accuracy, enabling its cost effective use in high volume OEM, machine building, systems integration and continuous production applications. The confocalDT IFS2404-2 confocal chromatic displacement sensor is designed for high precision distance, position and thickness measurements. With a diameter of just 12mm, the sensor is easily integrated in restricted, confined spaces. Due to its special lens technology, the sensor delivers a high resolution with an extremely small laser spot size (10µm diameter). With a compact footprint and small measuring spot size, the confocalDT IFS2404-2 is ideal for high accuracy distance measurements on reflecting or transparent surfaces, as well as one-sided thickness measurement of transparent film, plates or layers. As well as distance measurements on highly reflective, shiny surfaces, the sensors can also be used to measure on dark, diffuse materials. Typical applications include displays, smartphones, mirrors and glass production and medical devices. The sensors are also suitable for vacuum applications in semiconductor and microelectronics production. 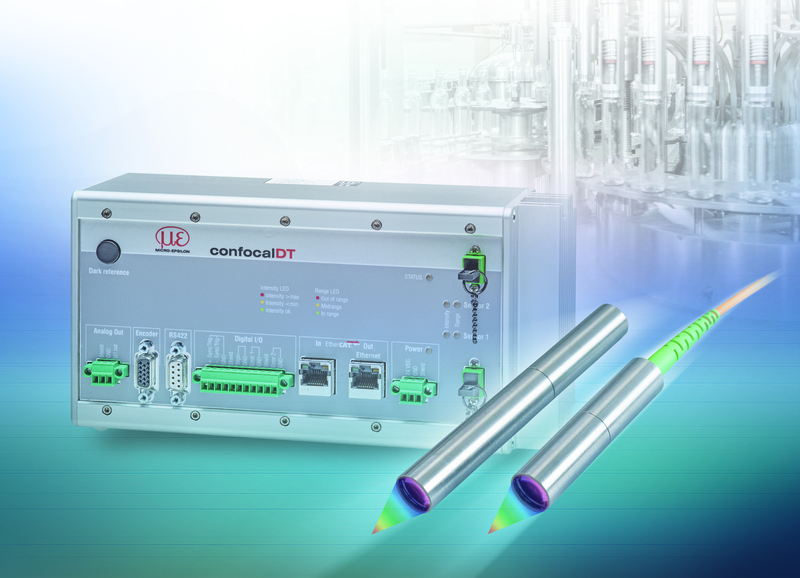 Together with the confocal chromatic controller, confocalDT 242x, the sensor system offers an excellent price-performance ratio, particularly for OEM series production applications. The confocalDT IFS 2404-2 sensor is compatible with all confocal controllers from the Micro-Epsilon range. With the confocalDT 2421 and 2422 confocal controllers, Micro-Epsilon is setting new performance standards in precision confocal measurement technology. Designed as a single or dual-channel version, these confocal chromatic measurement systems enable a cost effective solution for OEMs. The system works on a non-contact basis and is therefore wear-free. The active exposure control of the CCD line allows fast, accurate compensation when measuring on different surfaces. 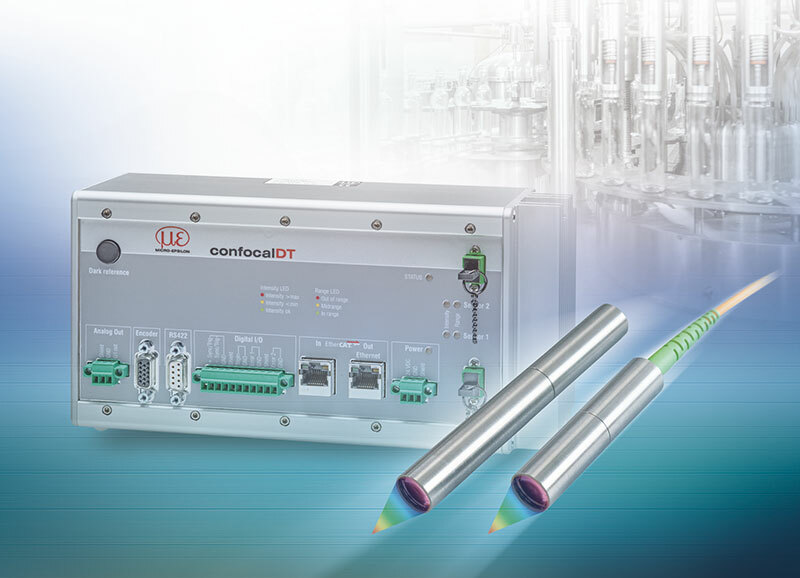 The confocalDT IFS 2404-2 has a measuring range of 2mm, resolution of 40nm and a linearity of +/- 1µm (for distance and displacement measurements) and +/- 2µm (for thickness measurements). Operating temperature range is from +5°C to +70°C.